Comment: Think a raccoon is in my attic or an opossum. Comment: Have wasps that occasionally get into house. Got rid of nest when moved in. I don't think there is another one, but the occasional wasp getting in through the window frames (I think) or door frames ends up averaging 3-5 times a week. I'd like to get rid of them completely. Saint Louis Pest Control Services are rated 4.73 out of 5 based on 868 reviews of 17 pros. 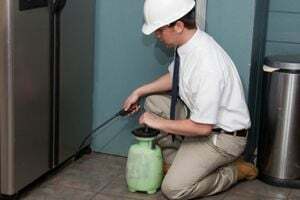 Not Looking for Pest Control Contractors in Saint Louis, MO?